Chili willieChili AND running? Anything is possible, including a 10k/chili cook-off, which is precisely what will be happening this Saturday at Overend Mountain Park. The event starts with a 10k race and ends with a chili cook-off that includes over 20 chili dishes served up by local businesses. The chili-cook-off-race will benefit the San Juan Mountains Association, which works to promote the responsible use of natural and cultural resources, so you can feel good about the idea of shoveling delicious chili into your gullet after a long run. 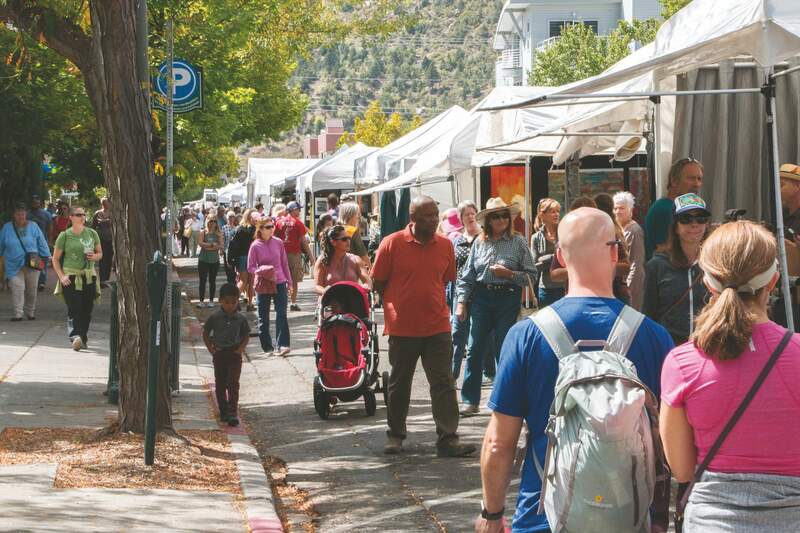 Arts smartsDurango LOVES a good festival, and you can find yourself not only a festival, but a boatload of art, this Saturday and Sunday at the Durango Autumn Arts Festival. All you have to do is head over to Second Avenue, where you’ll find over 100 arts and craft booths – so many things! – along with live entertainment, delish food, and the juried art show, which will determine the top artists out of a pool of 200 talented applicants. As a bonus, by heading out to the festival, you’ll not only be entertaining yourself, but also supporting Durango Arts Center, which is benefiting from the event. Soul warAuthor Reid Ross will make your Monday extra interesting when he stops by Maria’s Bookshop for a book talk and signing to promote his latest work, “The War for Souls,” which tells the story of Anna Marie Ross, an instigator of public schools in the San Luis Valley after the Spanish land grant, a time when only the rich were afforded an education. Ross fought against big foes like the Catholic clergy in a bid for widespread literacy and education in the valley, and now the author Ross is telling her tale to the masses.